WHAT I LEARNT FROM MY FATHER | Thoughts of a Calabarboy. 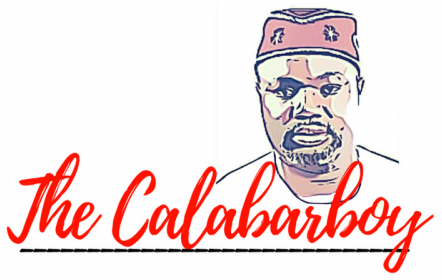 WHAT I LEARNT FROM MY FATHER – Thoughts of a Calabarboy. I didn’t grow up with my dad for most of my childhood days. Constructing my world view from the protective arms of my mother did create a series of didactic thought processes in me, one of which is instant judgment. This was in direct contradiction to my dad who had a knack for delayed judgment. Here I was sandwiched between the impulsiveness of a entrepreneurial woman, and the pragmatism of a legal analyst… and I was supposed to make safe sense out of life, and carve out my very own personality. I could imagine the genes floating around me and struggling for relevance and dominance, and I wished I could scan them thoroughly and choose which is vital to success and every point in time. My childhood was filled with inner deliberations and attempts at creating what was to be called my world, and also the possibilities of recruiting humans into my predefined parameters of living. However, my dad, as far away as he was, seemed to be my balancing factor (more like an exogenous treatment to the experiment I was conducting). I sometime wanted to hate him for being so far away, but again his absence increased his worth to me and every time I saw him, his words were laden with depth that I desired to hear each day. I said to myself when he is around: “this is my start point, not my end point”. To me he knew everything and faltered in none. He approached every issue with maximum attention, imputing highly cerebral calculations to the unknown to arrive at rationality and common sense. I was awestruck each time he spoke and then knew that I would not outgrow the man. I let his every word sink in like a boulder in a calm stream, assuming a significant space in my mind. Even when my days of rebellion came, I still trod softly because I couldn’t deny the markings of his grip on me. Here I want to share seven vital lessons I learned from my dad. Some of them he said verbatim to me, while some I drew out of his parabolic nature. Through him I learned to understand the context of what a man says and what the man did not say. Because every word spoken has implications for what it is and what it isn’t. Therefore when he spoke I understood, but when he didn’t speak, I understood even more. These seven lessons are more than material wealth and I wish he could have willed even more of his mind to me. I proceed with careful assertion to retain and preserve the originality of his mind communicated in this discourse. 1. Absolute fear for nothing. This was my baptism into boldness. As most of my friends know, I proceeded from there into the realms of stupid arrogance and at worse described myself as a jingoist of self confidence. The older I grew the more I came to understand from my conversation with him, that absolute fearlessness ended in God. He said to me in Efik: “Eyen kpono Abasi”, meaning – “Child, Revere God”. For a man who feared nothing to ask me in his old age to fear God, trust me, I needed no further counsel. He showed me that nothing is as it appears, only God is true to his form. Every other thing has a form which it takes on to create respect in others, and for which I must learn to see beyond its appearance. When I knew this my ‘baloonish’ pride was pricked and I sheathed my arrogance to take on stronger challenges rather than personalities. 2. Circumspection. Applied as being prudent and cautious in every facet of life. This warning to me arose because of my tendency for extreme passion in whatever I lay my hands to do. He saw this in me and chided me for a blind characterization of what I then called faith. Initially I branded him a persecutor and a Pharisee, but as I negotiated the corners of life and reflected more on the essence of the Almighty in my life, I found a pillow in his counsel. I knew for sure that for everything I think I know, therein lies the claim that I do not know. Hence, whatever lies in my hands to do or execute, I always now flip the other side and my perspective will dramatically change and my understanding becomes better. Circumspection is one of the trailing residues of wise initiatives. 3. Discretion is the better part of Valour. Hmmm…in this case, I couldn’t agree more as I saw many mighty men fall not for failing power, but for a lack of discretion. While valour accounts for a tenth of an accomplishment, the 90% success rate is determined by discretion. Discretion is the trait of judging wisely and objectively, and also learning to put aside what your perceived strengths are and allowing the seeming weaker parts have a say in your goings. He said to me Reginald, “Discretion distinguishes Kings and their subjects, for every time you follow its path, you sit at the Kings’ table.” “Mere men rely on energy, that’s why they must eat all the time and feed their lusts and ambitions to protect a future that is not subject to assumptions, and while doing this, they inflict much pain on themselves, their children and society.” Amazing lines of thought huh? Today and ever so true, I cannot recover from how much these words have guided me and given me an edge over my circumstances. 4. History repeats itself because we are all fools. I learnt from him that the mistakes we see men make, is a pointer to their ignorance of history. History is the hidden stories that are cocooned by time to be hidden from fools, but to be cracked by the wise for their security and safety of their generations. As he admonishes me to fear God, he still yells to me “Look at history!!! !” Everything repeats itself, but clothed in the intricacies of the present time. This is why you must have a sense of delayed judgment, for time reveals more of a matter and with such you can skip the hurdles of erroneous choices. He said once to me, “if you make my mistakes, you are a fool.” That line resounded continuously in my head like a clashing cymbal and today I draw lessons not just from the past, but from the happenings of today, because they will be the references of tomorrow either for sorrow, or for victory. 5. What you live in others, outlives you. I saw in my father a man absolutely committed to the well being of every one around him. He listened to everyone and advised anyone who cared to listen. He spoke his heart out and went the extra mile to satisfy the need of those who were needy. I saw that largeness of heart is a rare gift which one is born with, however can be cultivated when you have respect unto the existence of others. I saw how frustrated he was when he knew something was beyond his power to change and how active he was when he could do something about it. I saw him argue to help people correct their perspective about life hoping they wouldn’t leave his presence the same way they came in. He did all he can, with what he had and the influence he could muster to alter the course of failure for a person. I remember when I was not doing well in my secondary education because I was bored by school, he saw me and said to me “you are more than this”. He never said another word about it. That was was too hot for me to handle. I slapped myself back to reality and jerked my mind to life. He left something in me no doubt. 6. Ambidexterity. This describes individuals who are equally capable of performing tasks with the right or left side of their bodies. He was a soccer fan and a left winger himself in his younger days. He could play with both legs and write with both hands comfortably. His writing with both hands was particularly striking to me and I decided that I was going to practice writing with my left hand. I wouldn’t say how successful I did, but I will say that beyond the reality of his capability, was what this meant to me. He was both logical and poetic, mechanical and artistic; a microcosm of the human personality variety. I believe that it is possible to be ambidextrous in life, leaving no area of weakness; a total man, loving and taming, cultivating and uprooting, stroking and striking, being something in everything to everything while lacking in no faculty in life. 7. Stay strong till you die. A few days before he died, he was still encouraging me that everything will be just fine, displaying high self worth and self confidence, even when at the mercy of the doctors. His voice showed no signs of an ending life, as he still spoke of what work he has to do and how he wants to bring his entire family together. He remained relevant to life, thinking through solutions he wanted to see through for his ethnic people and how he wanted to empower them with education. His bones, mind and spirit were sound and without injury, telling me how excited he was at Obama’s victory and wishing he could shake the young man’s hand. A few days before he went home, we were still discussing a book he was reading on the emergence of India and China in global economics, and sharing with me the trajectory he thinks global production processes will take. He lived till he died. He didn’t wither nor wane, falter nor fumble, he simply stayed the course and finished strong. I must finish strong. I now understand why some people never die. They simply transit from one person to another. My father didn’t die, he simply emptied himself of the matters of this plane, and assumed another dimension of relevance. Therefore, I say to myself that where his feet didn’t tread, mine will. Who his hands didn’t touch, mine will. Where his voice wasn’t heard, mine will. What his eyes couldn’t see, mine will. What he couldn’t comprehend, I will. Where he didn’t sit I will, and where he couldn’t stand, I will. For I choose this day to be the extension of his life, to repaint and recolour the paragon he intended, and to give a true definition to the legacy he attempted to build. For now I understand that some plant, others water, But God is ever ready to give and increase. I am am his waterer. To my mentor and my instructor…..keep living! ← WHAT ARE YOU DOING BARACK? Thanks Uche. Those are words that provoke accountability!